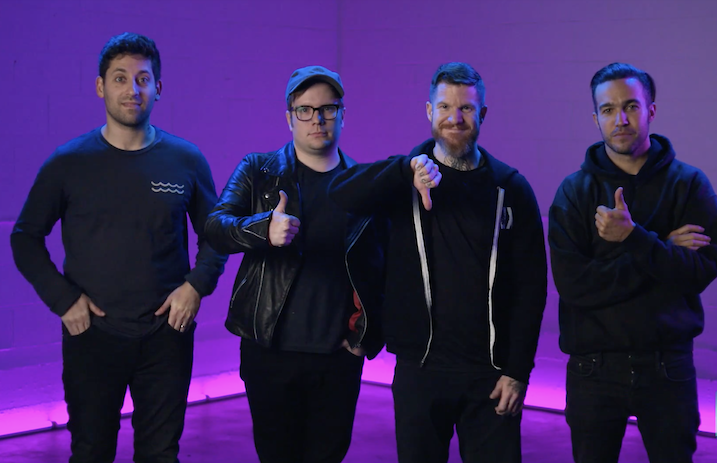 To celebrate the arrival of M A N I A, Pandora is releasing a new installment of their Thumbs Up, Thumbs Down series featuring Fall Out Boy and AltPress has an exclusive first look. In the spirit of using a thumbs up or thumbs down to craft your personalized listening experience on Pandora, this series asks artists to rate and discuss random topics. The guys of FOB offer opinions on everything from pyrotechnics and vaping to leopards and even leopard print. And in case you were wondering, Fall Out Boy have 2.7 million spins and 10.4 million artist station adds on Pandora. Check out their pandora station here. Previous articleWhat’s going on with My Chemical Romance’s YouTube page?